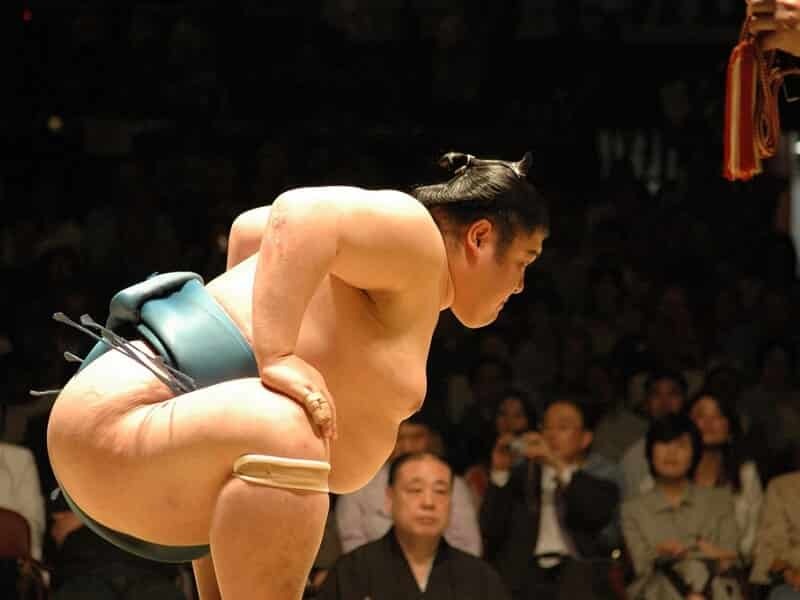 One of Japan’s greatest attractions is its ability to offer up both the modern and traditional versions of itself. Alongside future-focused cities like Osaka and Nagasaki, there are places that have kept to its traditions for hundreds of years, often to stunning effect. In this Southern Japan Adventure Tour, from the early imperial palaces, traditional temples and sacred shrines, to 20th century memorials to the devastation of war, you can follow the evolution of a nation. Konnichiwa! Welcome to OSAKA, Japan. 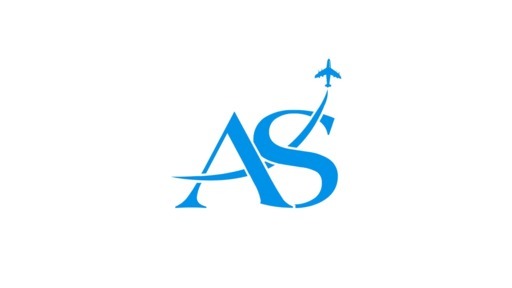 Upon your arrival at the airport, you will be picked up by Asia Senses representatives then provided with a short transfer (via shared shuttle van) to your hotel. The rest of the day is free at leisure. Osaka is the unofficial culinary capital, where the motto is 'Kuidaore' ('eat until you drop'), so there’s sure to be a whole host of options on offer. Look out for okonomiyaki (a delicious savoury pancake) and kushikatsu (seasoned, deep fried meat on skewers). Otherwise, you can hit the town on your own or rest up for a big day tomorrow. Your Southern Japan Adventure Tour has already begun. Depart Osaka in the morning and begin the journey west to TAKAMATSU on a train. 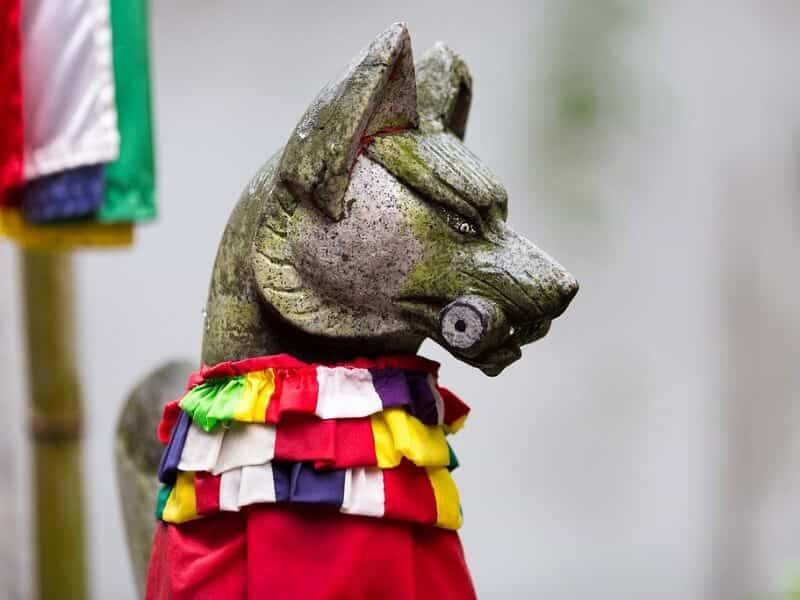 This may be the largest city on the island of Shikoku, but it's a beautifully unpretentious town full of history, top-notch food and interesting local art. Once in Takamatsu, pay a visit to Ritsurin Garden, one of the most beautiful gardens in the country. Dating back to the Edo period, it comprises many ponds, pavillions and historic trees, with a western garden an addition to the Japanese one. The park was originally built in the 1620s to serve as a private garden for the then leaders of Kagawa prefecture, the Ikoma Family, and after more than a century, the garden was completed and became the villa of the succeeding Matsudaira family. After the restoration of the Meiji era, it was opened to the public and has become one of the favorites of both locals and foreign tourists since then. Take a break and have an afternoon tea at Kikugetsu-tei, a teahouse set right in the middle of the park. Spend a pleasant time with a cup of green tea and a view of Nan-ko pond. In the morning, take a ferry to Miyanoura Port, one of the two main ports on NAOSHIMA. The ferry takes some 30 - 45 minutes. Naoshima is a small art island where you can find contemporary museums and artworks such as the Chichu Art Museum, the Lee Ufan Museum, the Art House Project, the Ando Museum, and Yayoi Kusama’s red and yellow pumpkins. Explore the island, using a public bus or bicycle to take you between the different galleries and installations. This is a totally unique and tranquil experience, in which you slip off your shoes to enter dreamlike exhibits. Wander between artworks, hear the sound of waves lapping at beaches, and stumble unexpectedly upon outdoor sculptures. Return to Takamatsu in the late afternoon. It's back on the train and off to the small town of KOTOHIRA, the quiet town in Kagawa which is famous for its mountain temple of Mount Kompira, Shikoku's most popular shrine. Popular with pilgrims, the Mount Kompira is dedicated to seafaring, and although the approach to the shrine is not particularly straightforward, it's well worth the effort. Situated along the slopes of Mt. Zozu, the shrine can only be accessed via a long and steep staircase with 1,368 stone steps in total. Most visitors only make it up to the main hall (after 785 steps) to take in views overlooking Kotohira Town, but for those who would like to see the inner hall, a remaining 583 steps would be needed (approx. 45-minute hike). Tonight stay at a ryokan, a traditional Japanese-style inn furnished with low tables and chairs, sliding shoji doors, and tatami flooring. The open-air hot spring baths in the ryokan have a view of Mount Kompira. Take a day trip to the secluded IYA VALLEY. Upon arrivel at the Ooboke station, be met by the private coach and be taken to see the highlights of Iya valley. First stop will be the Manikin Peeing Boy Statue, from where visitors have a stunning view over the steep surrounding mountains and the turquoise Iya river, flowing more than 200 metres below them. Then continue to Iya Kazurabashi vine-bridge. In the past centuries over 13 of these bridges offered passage over the Iya River, but nowadays only 3 remain. When the Heike clan fled here some 800 years ago, they built these bridges as the only way to span the gorges and Iya river; if they were attacked then they could cut the vines at a moment’s notice. Only three of these bridges remain, and they look like something out of Indiana Jones. The next stop will be Ochiai Village, a small hamlet in the heart of Iya Valley with a collection of historical farm houses dating back to the mid-Edo era. Perched on a mountain side visitors can get an insight on the rural lifestyle and traditions that have been kept alive until the present day. 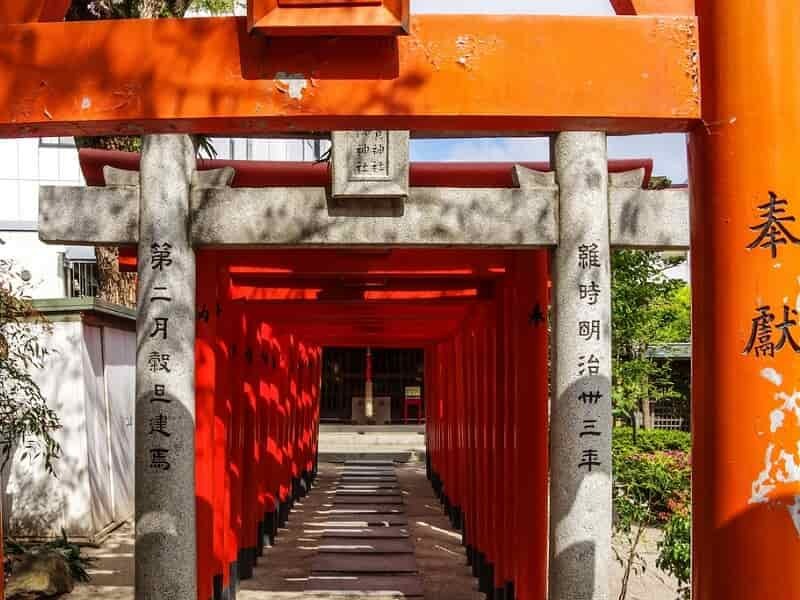 Visit the Sanjo Jinja Shrine, located in the center of the village, which was established in the beginning of the Edo period. Then continue to Nagaoka-ke house, a former farm house that has been renovated and is now open to the public. OPTIONAL: An optional activity is to visit the restored thatched-roof samurai house, which lies at the top of a steep valley slope by towering cedar. This was once the home of village leaders, and now offers displays of samurai armour and superb views over the valley. After breakfast at your hotel, head to MATSUYAMA in Ehime prefecture on the northwest of Shikoku. Ehime is known for its cycling tours, pilgrimage routes, and hot spring resort. In your free time, perhaps visit the hill-top Matsuyama Castle, one of the only twelve remaining original castles in Japan. To get up up there, take the ropeway (or chairlift). Alternatively, there's a nice pathway if you'd rather walk. With around 200 cherry blossom trees, the castle grounds serve as a good spot for sakura-viewing in spring. 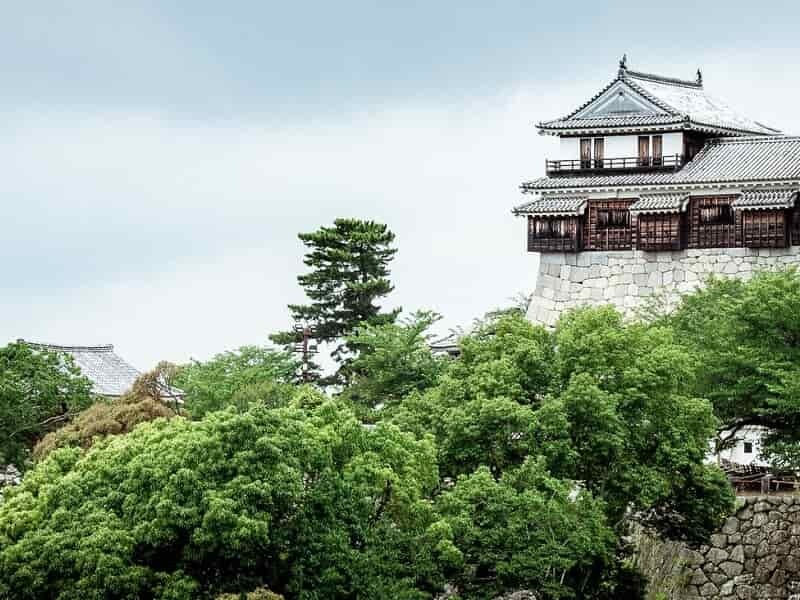 Unlike most castles in Japan, this one has an interesting collection of artefacts inside, so take the chance to check them out and learn a little more about Matsuyama's history. Later in the afternoon, relax and unwind at the beautiful Dogo Onsen, one of the oldest bath houses in Japan, already more than a century old. It is said that one of the settings in the award-winning film “Spirited Away” by Hayao Miyazaki was based from this public onsen. After a soothing bath, stroll around the resort, passing through the lively shopping arcade just across Dogo Onsen Honkan. This morning, visit Ishite-ji, the 51st post temple along the Shikoku Pilgrimage route. The Ishite-ji is claimed to be the most impressive temple among the 88 Buddhist temples in Shikoku, with its Niomon entrance gate and its curious looking inner shrine. Shortly before noon, catch the 2.5-hour train to OKAYAMA, the prefecture in Honshu that is closest to Shikoku and is famous for its historical attractions and pleasant weather. 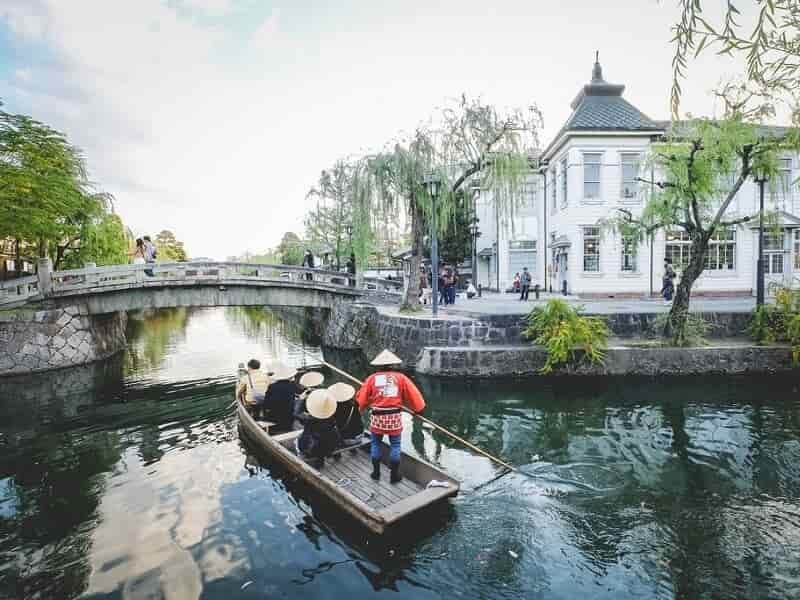 Leave luggage at the hotel and take the short 15-minute train ride to Kurashiki, the second most populated city in Okayama. During the Edo era, Kurashiki had served as the hub for storing rice and other local produce in the region, which justifies its name that literally means “warehouse village.” Nowadays, Kurashiki is frequented by local and foreign tourists for its well-preserved old houses, depots, and canals, which can all be found in the nostalgic Kurashiki Bikan and Canal Area. Spend the morning visiting Okayama Castle, which is also known as the “Crow Castle” for its black exterior. Inside the castle grounds the Tsukimi-yagura Tower can be found, which was used to defend the castle and now serves as a venue for cultural events such as moon watching during the annual Mid-Autumn Festival. From the castle, proceed to Koraku-en Garden, known as one of the Three Great Gardens of Japan and a designated Special Place of Scenic Beauty. Inside the garden, a couple of teahouses and rest houses can be found, as well as well-maintained landscapes and ponds, and even a paddock and archery range that used to be the training area for the military. After that, catch the 2.5 hour bullet train to KUMAMOTO. It’s time for the scenic journey to Kyushu, the third largest island located in the south-westernmost part of Japan and a good stop for your Southern Japan Adventure Tour. Today, follow your guide to explore central Kumamoto on foot or with the use of its tram to see Kumamoto Castle and Shuizen-ji Joju-en Garden. The inner grounds of Kumamoto castle will be closed to the public, due to the severe damages caused by the April 2016 earthquake. After that, head out by private bus/car to ASO. This is the ideal starting point for a trek on Mount Daikanbo, the perfect spot from where the five peaks in Aso can be viewed. There are also shops and restaurants/cafes in the park, offering nice refreshments before or after the trek/hike. Continue to Aso Shrine and surrounding shopping arcade. The shrine is one of Japan’s many Shinto shrines and has around 2,500 years of history. Strolling around the shrine, visit traditional shops and taste the “prized water” from one of the 20 fountains and water sources in the area. Have lunch in a local restaurant in Mount Aso. Alternatively, enjoy a 3-hour drive by private bus/car to visit the onsen town of BEPPU to see the nine Jigoku (“hells”), unique hot springs that are only good for viewing and not for bathing due to their extreme temperatures. Located here are red, blue, and white jigoku, even a hot spring with crocodiles in it. Have lunch in Beppu. After lunch, head to today’s final destination, TAKACHIHO. 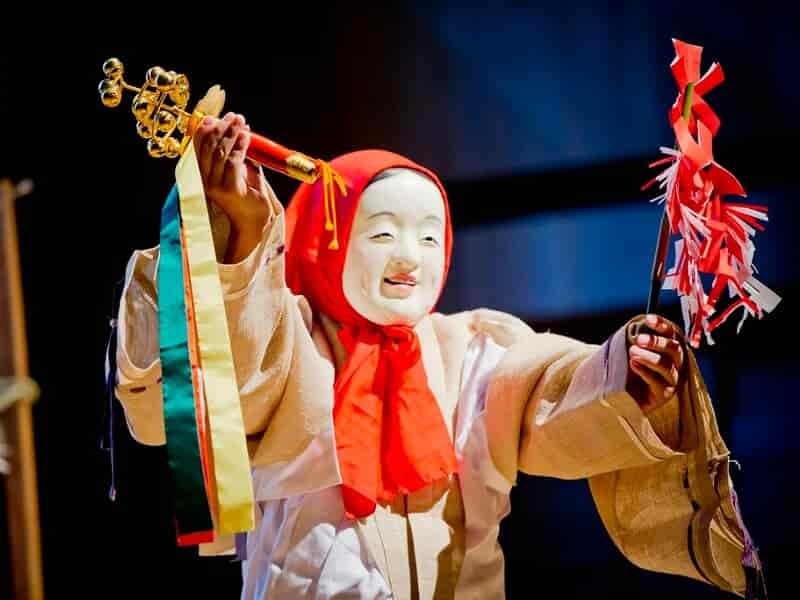 Tonight, enjoy watching ‘Takachiho Kagura Dance’ at Takachiho Shrine. Outside the official season for Takachiko yokagura, the ceremonial dance performance can still be enjoyed in the version known as Takachiho Kagura. A performance of four representative dances from the kagura repertoire of 33 dances is held every evening from 20:00 to 21:00, at the Kaguraden performance hall on the grounds of the Takachiho Shrine. In the morning, visit Takachiho Gorge, probably one of the most famous places in Takachiho district in the Kyushu Mountains. Gokase-gawa flows in the middle of the basalt columns, offering its visitors the chance to row down the river and get the chance to see a close up view of the surrounding cliffs and the 17m high Minai Falls. For those who enjoy a short hike, Takachiho Gorge also offers paved pathways along the edge of the gorge. This kilometer long trail also leads its visitors to the 1200 year-old Takachiho Shrine. In the afternoon, you will be transferred in 1 hour by private car to Nobeoka station, where you connect the 1-hour train to Miyazaki station. From the Miyazaki station, continue to catch a 2-hour train to KAGOSHIMA. Upon arrival, check in the hotel then free at leisure. After breakfast at your hotel, continue your Southern Japan Adventure Tour with a 30-minute transfer by private taxi to the Kagoshima ferry port, where you embark on a 4-hour ferry journey to Miyanoura Port on YAKUSHIMA ISLAND. A remote island even by Japanese standards, the journey is well worth the effort. Much of its adundant natural resources have been preserved without exploitation, making it particularly picturesque. The island lies 60 kilometres south from the southernmost tip of Kyushu and since 1993 it has been declared as a UNESCO World Natural Heritage site due to its unique biome. The forests of Yakushima are said to have inspired the forest setting in Hayao Miyazaki's film Princess Mononoke, and it's easy to see why. The subtropical island is home to the Yakusugi Cedar trees, some of the oldest living trees of Japan. Ranging anywhere between 1000 and 7000 years, the massive imposing Cedars are truly a sight to remember. The wonders of Yakushima are not limited to flora but also fauna, as the island is known as the spawning ground for the Loggerhead Turtles as well as the home of the Yaku deer and macaques. The afternoon is free at your own leisure. On this day, explore the beautiful Yakushima Island and trek through its primordial forests on the journey to Shiratani Unsuikyo Ravine (approximately 2.5 hours). The ravine offers multiple hiking trails through the lush green forests with varying overall total distance, elevation and intensity. The trail is dotted with multiple ancient Cedars and will ultimately lead to a part of the primordial forest that served as the inspiration for the Studio Ghibli masterpiece – Princess Mononoke. Afterwards, kick back and relax. In the summer season, Nagata Inakahama Beach, the best beach on the island, is the place to be. Here, when it's the season, giant turtles lay their eggs in the sand at night. OPTIONAL: There's the option to see the turtles in the night (through authority–approved tours). Alternatively, spend free time soaking in the onsens by the sea. This morning, say goodbye to the magical forests in the Yakushima Island and jump back on the 3-hour hydrofoil tour back to Kagoshima, arriving just past noon. From here, continue the journey in 4-hour train to NAGASAKI, another city in Kyushu with the historical importance. Aside from its tragic past, Nagasaki is also known for being the centre of Portuguese, Dutch, and other European influences from the 16th to 19th century. 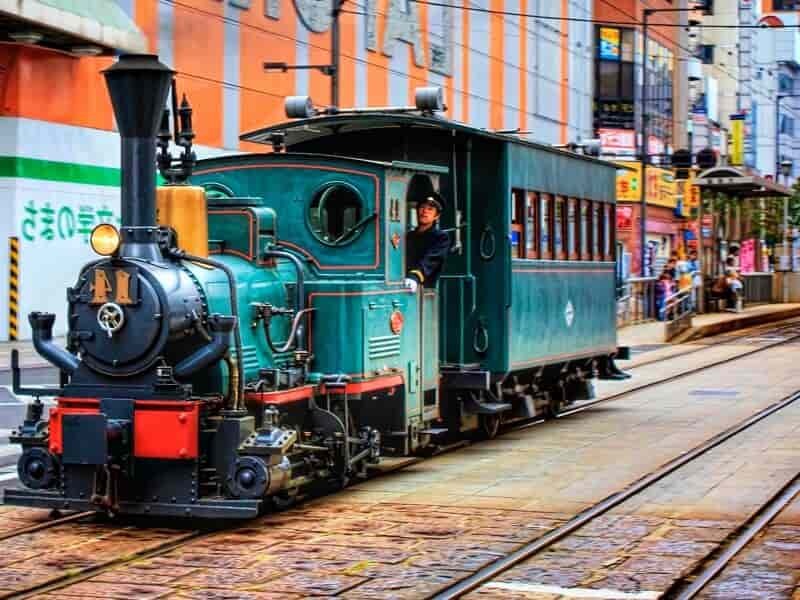 Though its name has strong connotations of bombs and war – and the military history sites are important to visit – Nagasaki a delight to explore, with its hills, harbour, churches and temples. Check in the hotel then free at own leisure. In the evening, travel to the top of Mount Inasa for one of the best night views in the world. Alternatively, visit the oldest Chinatown in the country to sample some of the regional dishes including the famous Nagasaki chanpon, a noodle soup with heavily influenced by Chinese cuisine. Before continuing the journey to the vibrant port city of Fukuoka, visit a couple more places in Nagasaki. Our guide will take you on a tour to the Nagasaki Peace Memorial Park and Museum, which are dedicated to the dark day of August 9, 1945 when the bomb struck and destroyed vast parts of the city, killing tens of thousands of people. Monoliths and monuments here serve as a gentle yet powerful reminder on the destructive effects of war. 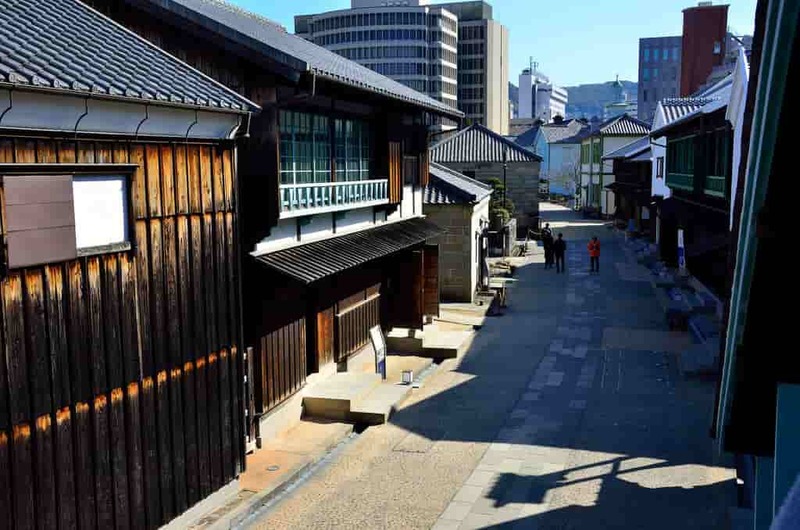 Consider heading over to Dejima. This fascinating artificial island, once a Dutch trading post (and the sole foreign presence in the whole country at one point) is well worth exploring. Around noon, back on the train again, we get on the 2-hour train to Hakata Station, the main train station in FUKUOKA that is surrounded by modern shops, commercial buildings, and hotels. Fukuoka is a major city but it is also boasts a beautiful beach to enjoy. In the afternoon visit Shofukuji Temple, the first buddhist temple in Japan. The Buddhist priest Eisai, who first brought Zen Buddhism from China to Japan founded this temple in the year 1195. In the late afternoon, continue to Nakasu Island and sample some of Fukuoka’s delicious street food at one of its yatai or open-air food stands, which can be found lined up along the river. Some of the local delicacies such as Hakata ramen, gyoza, and motsunabe (hot pot dish) can be tasted here. Start with a morning visit to Kushida-jinja, the most important shrine in the city as the annual Hakata Gion Yamakasa Festival is centered on it. Next, continue to the busy Yanagibashi Rengo Ichiba Fish Market, which has its origins in 1916. That year, a single merchant opened his stall and started selling fresh fish. As he began attracting more and more customers, other merchants started to settle-up next to him and it eventually became the bustling market you can see today. Afterwards, head to Ohori Park, located at the heart of Fukuoka and appreciated for its beautiful pond and quiet environment. In the evening, we suggest visiting Fukuoka Tower, standing 234 meters tall and offering great views of the city, the shores of Momochi Seaside Park, and the islands nearby. Alternatively, you can check out the stores in Tenjin or at the Canal City shopping mall, for some last-minute shopping. Spend the morning at leisure in Fukuoka before catching the 2.5-hour bullet train to Osaka around noon. Enjoy some free time in the afternoon. 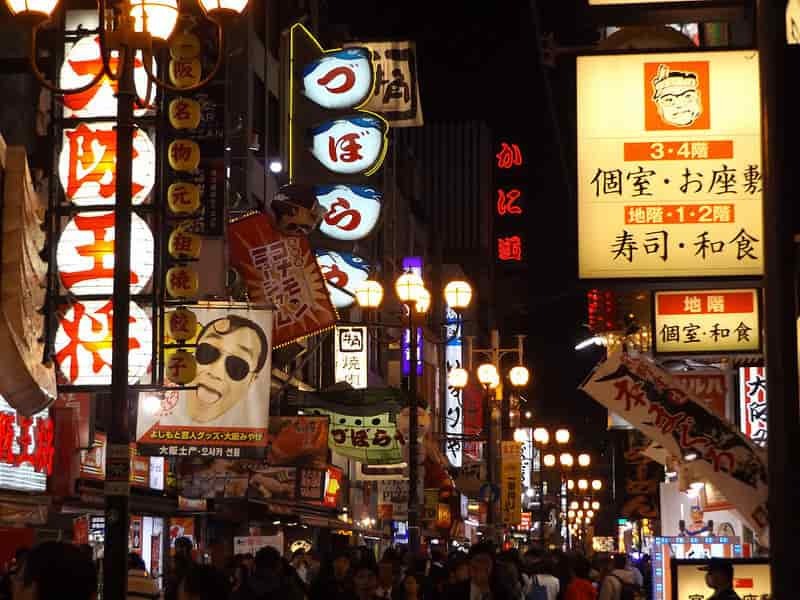 OPTIONAL: This evening, participate in a unique food tour for an introduction to Osaka’s cuisine. There is no better place in the country to experience the flamboyant and colourful world of Japan’s street food and nightlife scene than in Osaka. The city’s motto is ‘kuidaore’ or eat-till-you-drop, and just one visit shows that it’s not very difficult to do this! The Southern Japan Adventure Tour comes to an end this morning. There are no planned activities today. The rest of the day is at leisure until the scheduled transfer by train or shared shuttle bus to Kansai International Airport.